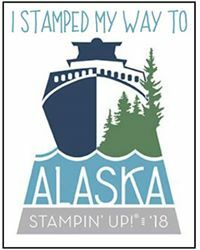 Welcome to another Crafty Inklings Blog Hop, with a group of my fellow Stampin' Up! Demonstrators from Norfolk, Suffolk, Cambridgeshire and a bit beyond, who regularly get together for team events here at my Stamp & Craft Studio. Sadly, because of holidays and other commitments, we are only a small group today but none-the-less, have a lovely selection of projects to share, all with an Autumn / Winter theme. 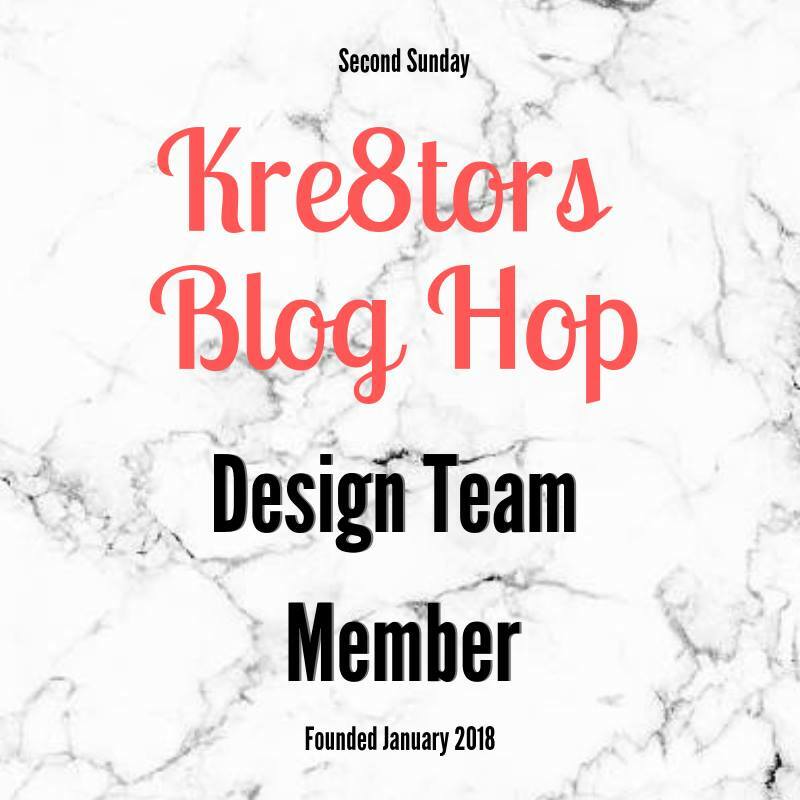 Depending on where you have started from today, you may have just joined me from Sue's Blog HERE and the projects she is show-casing. 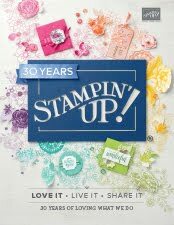 One of the best things about being a Stampin' Up! Demonstrator is that we are able to order a limited selection of brand new products ahead of their release, to enable us to create samples and plan classes. The NEW Autumn / Winter 2017 catalogue launches on 1st September. Today I'm giving you a sneak peak of our upcoming Merry Little Christmas Memories & More card pack #144638. 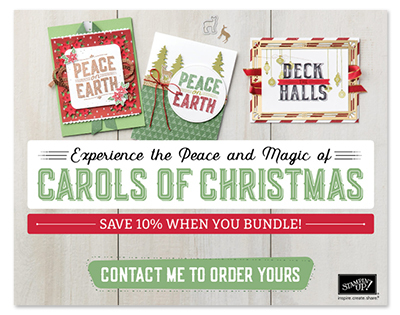 With 72 double sided cards, plus cardstock and acetate sticker sheets and 4 acetate overlays, this really is a fabulous value for money pack. Last weekend I had fun using half the pack to create 25 cards. You can see these are not just for memory making in albums, but can also be used for festive greeting cards. 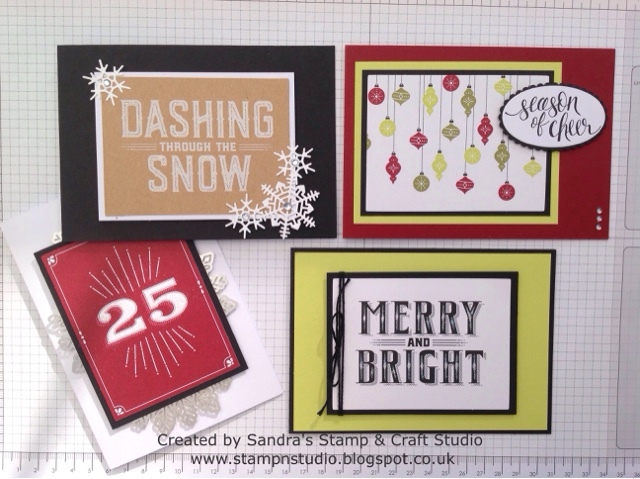 The sentiments I've chosen are from another new set Watercolour Christmas stamp set #144835 (W) #144838 (C). Can't beat a bit of bling to infill these numbers ! Sparkling Dazzling Diamonds added to centre of these letters. These gorgeous snowflakes are from the Seasonal Layers Thinlits Dies #143751 in the Annual Catalogue. I hope you have enjoyed my post today. If you are interested in attending my Bumper Bundle Christmas class on Sunday 8th October, please get in touch as soon as possible as these are proving very popular. Additional dates will be added to accommodate customer needs. 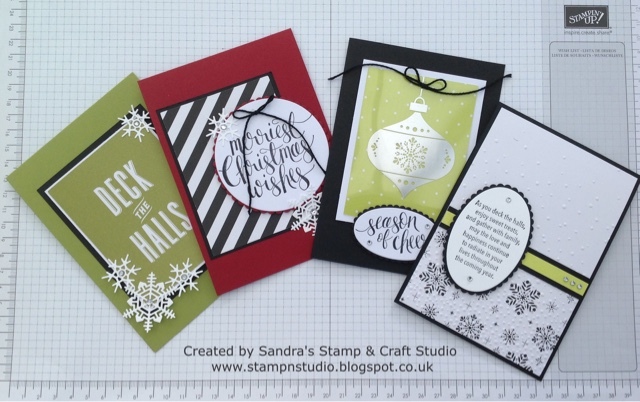 To continue along your 'hop', click HERE to see what lovely projects Tanya has to share with you. 1. Sandra - you are here already! If you are wishing to place an order before 30th September, please contact me as I have THREE fabulous offers for customers at the moment, with FREE products for everyone. CHRISTMAS IS COMING ......... FREE PRODUCTS !!! Christmas is coming! Let's start with some extra shopping fun! WHO WANTS TO WIN A SHOPPING SPREE? 1. Just email me ASAP but by Wednesday 23rd August that you want to participate. I will make sure a ‘hot off the press’ NEW Autumn/Winter catalogue will be posted to you immediately. You will need to place an order of at least £100 from the current 2017/18 Annual Catalogue and/or 2017 Autumn/Winter catalogues. 2. I need 10 people to sign up for this incredibly Special Offer. All 10 orders from the 10 participants will be put together to make up one £1000 order. All Hostess benefits plus part of my commission for the £1000 party, will be dispersed between all 10 participants. 3. Email me your order of minimum of £100 by Monday 28th August. Please do not enter your order online. I need to process in order to qualify for this special deal. You can pay by credit card, cash, Bank transfer (call for details) or Paypal: sroberts07@btinternet.com. Remember, everyone that orders at least £100 will get a PRIZE. All the Hostess benefits that go with a £1000 party, plus part of my commission, will be split between all of the Participants. Everyone gets a prize! Participants will be entered into a random drawing of the prizes, to be drawn LIVE on FB on Monday 28th August, 9pm. I will confirm to all participants of their prizes on Tuesday 29th August and will need your prize orders by Thursday 31st August, 5pm. Now let’s get you in the Christmas spirit, make your wish list and plan ahead! When it comes to our crafting stash, there's nothing better than getting something for FREE, especially when we can choose free items ourselves ! Since finishing my part-time job at the end of March and being purely self-employed, I have been setting myself goals to ensure I continue to stretch myself each month. 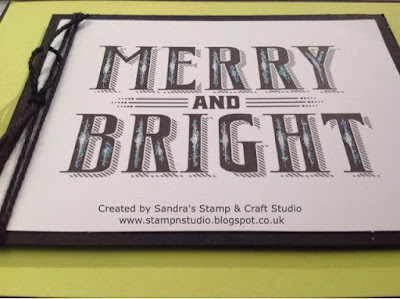 I have been extremely lucky to move to such a wonderful property and Studio and, for the next two-months, I am sharing fabulous "Special Offers" and giving my customers FREE Stampin' Up! products. Watch your emails or pop back tomorrow for full details. In the meantime, a quick 'sneak peak' of a NEW Winter Wonderland Textured Impressions Embossing Folder #144686, that you will find on page 36 of the new catalogue and available for you to order from 1st September. Here, I have simply embossed a square of white card and attached to centre of a Fresh Fig base card. A thin strip of Silver Glimmer card was added to top and bottom to cover the join. 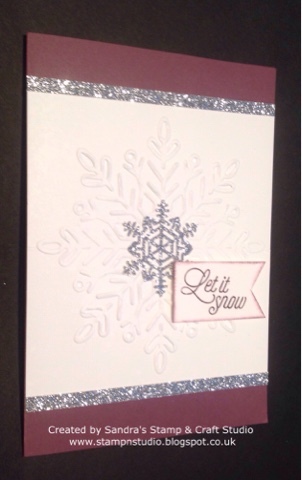 A Silver Glimmer medium snowflake from Colourful Seasons bundle was die cut and attached to the centre. 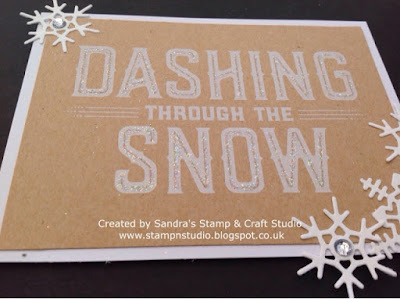 The sentiment from one of the Merry Little Labels stamps #144798 (W) #144795 (C) was coloured with Fresh Fig marker, stamped onto Whisper White cardstock and cut into a small banner shape using Paper Snips. 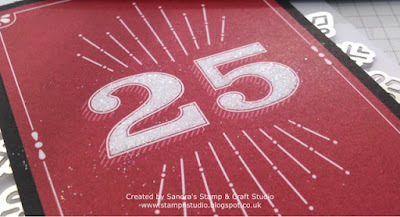 Edges were sponged using Fresh Fig ink pad and attached to card using Mini Stampin' Dimensionals. A very quick little sample with this new embossing folder. Hope you like it. 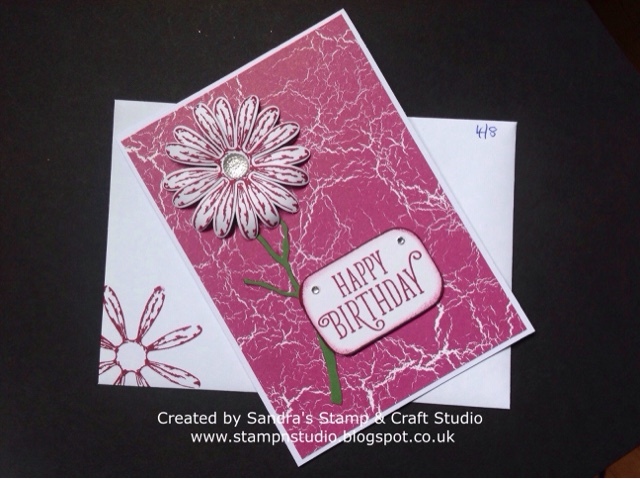 Today just a quick post, sharing another card using Delightful Daisy bundle. 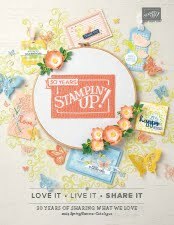 This card was created for Cheryl, one of my downline team, celebrating her 1st Birthday as an Independent Stampin' Up! Demonstrator. Next weekend, Cheryl is joining myself and another two 'honorary' team members, at a Scrapbook Retreat weekend in London. It will be a 'Busman's holiday' for all of us to attend an event someone else has organised, being able to have a whole weekend working on our own scrapbook pages. I'm sure there will be a few photos shared after next weekend. Today I've spent a lovely crafting day with one of my Downline team. 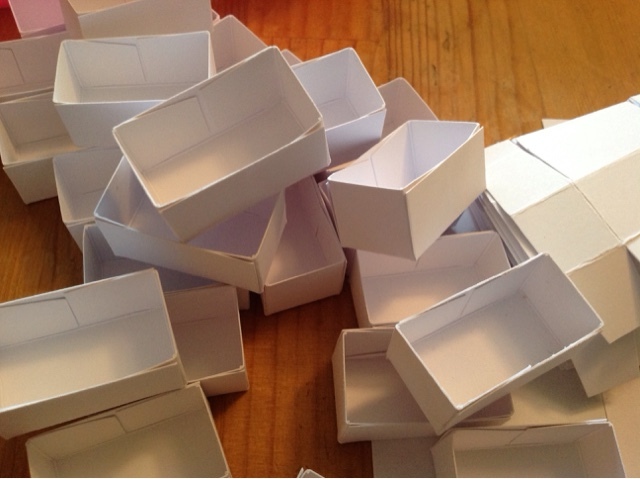 Alison and I had scheduled some sessions to start on our On Stage Demonstrator swaps ready for November. Having arrived already prepared with an idea for a 3D swap, a mock up was successfully created. After a quick trip to the shops to make sure I could still purchase contents, then back to let battle commence with my bulk preparation. Sorry, I can't reveal until after the event in November but there might be a different sneak peak, after the next session. My word, how different they will look then !! All will be revealed as soon as recipients have received on 11th November.